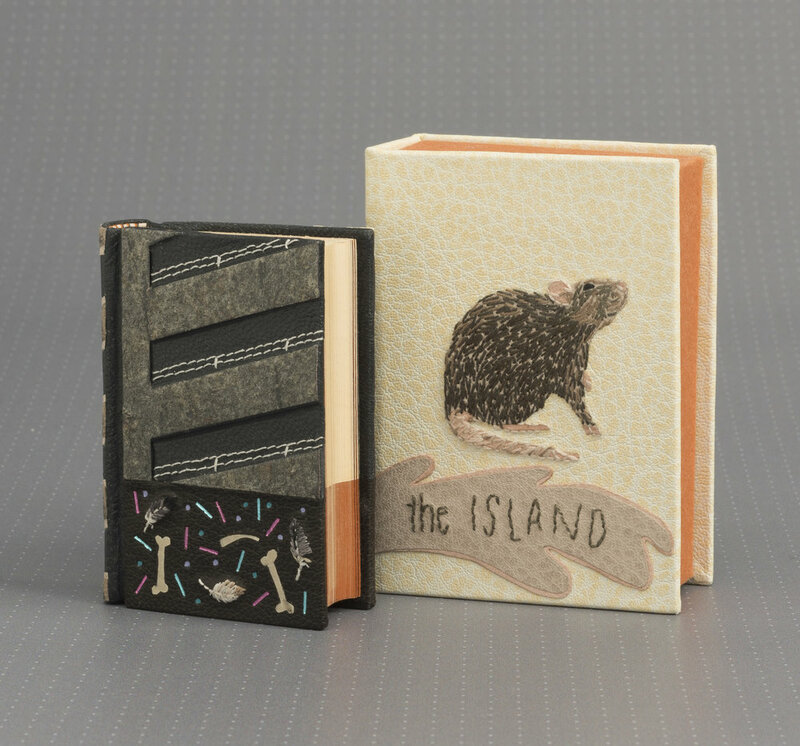 International Miniature Bookbinding Competition 'The Island'. How did that work? 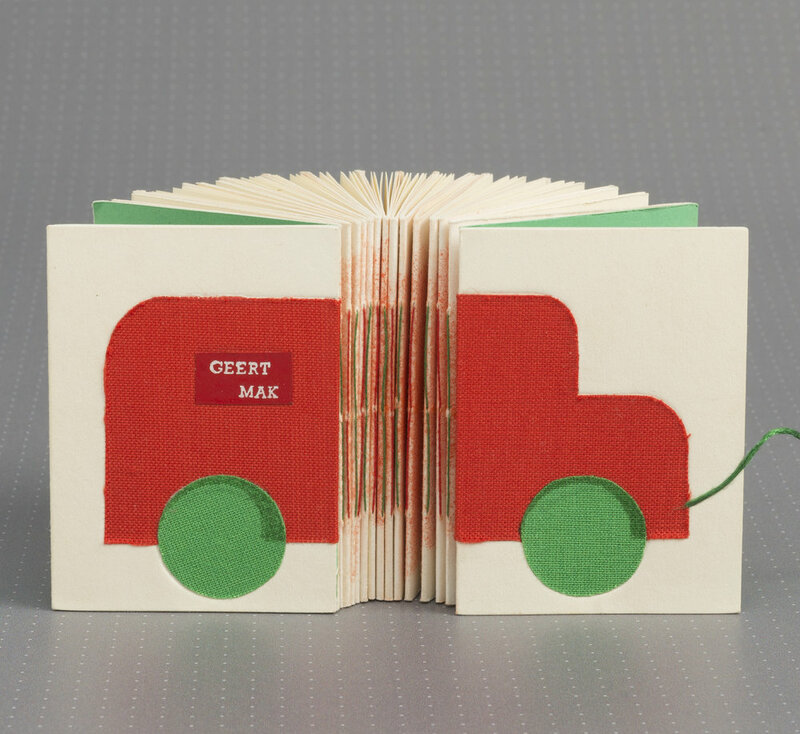 At the end of 2016, an international miniature bookbinding competition was organized by the Hand Bookbinding Foundation together with the publisher De Buitenkant and Museum Meermanno. The participants were given the quires of the short story, The Island, by Geert Mak which was translated into English for the occasion. The Amsterdam artist Max Kisman provided the illustrations for the text. All binding methods and cover materials were allowed, but the books had to conform to the so-called Bondy norm, named after the collector and rare book dealer Louis Bondy who devoted his life to the miniature book and who wrote a standard reference work on the subject. The maximum allowable height, width and thickness of the book was 3 inches (76.2 mm). 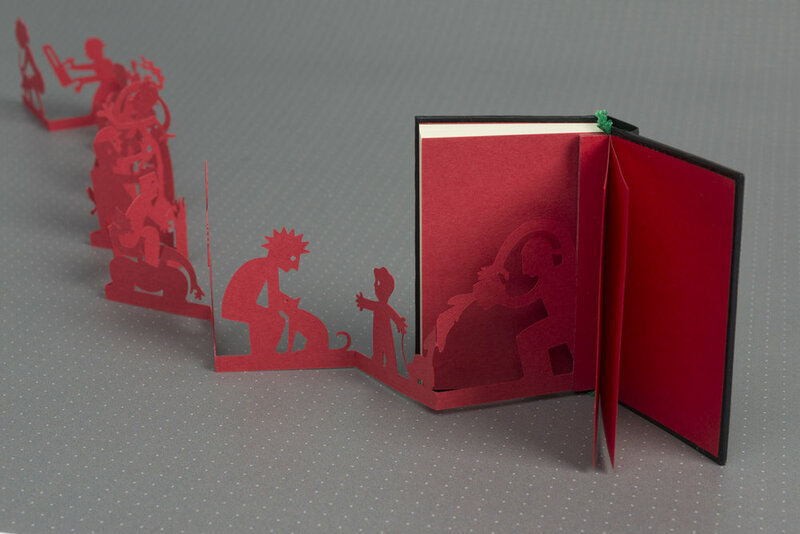 The small format is a challenge for bookbinders, but provides them with an excellent opportunity to demonstrate their expertise and dexterity. Who would be capable of displaying their craftsmanship as a binder as well as their creativity within the boundaries of established motifs and materials, while achieving at the same time a high degree of refinement? A grand total of 207 participants registered for the competition. They came from all areas of Europe, Canada and the United States, China, Australia and New Zealand. 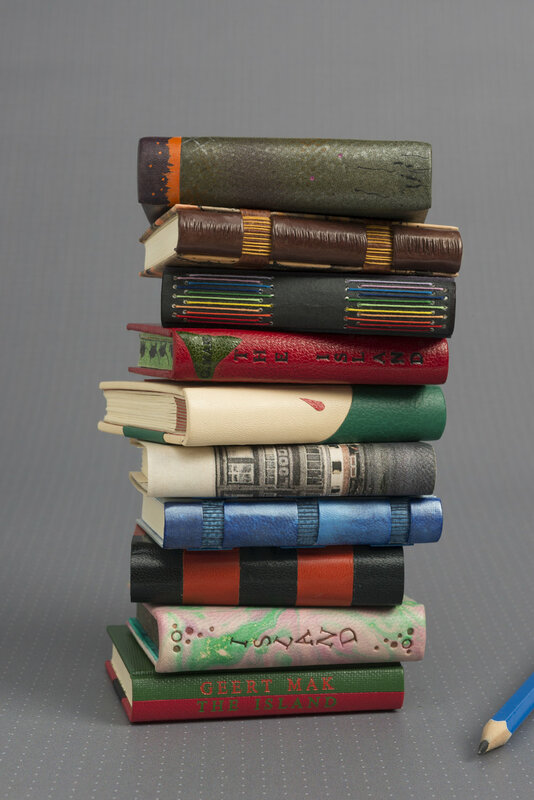 In the end, 155 miniature books were sent in for judging. 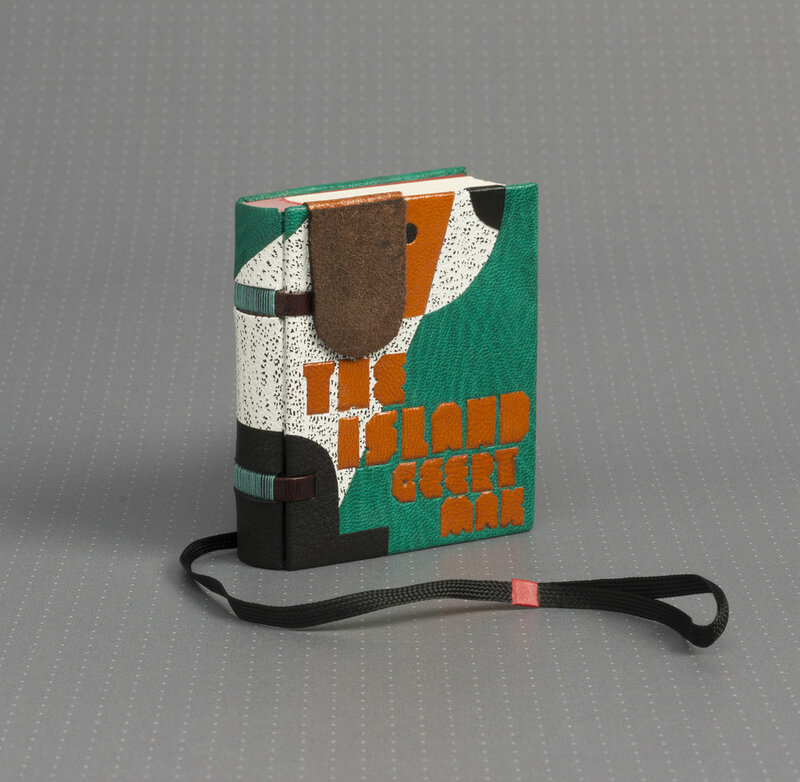 On 8 May of this year, a five member jury consisting of the bookbinders Geert van Daal, Katia Thienpondt, Gijs Wortel (foreman), art historian Rens Top and graphic designer Huug Schipper judged the entries on craftsmanship, technique and attractiveness. Before being sent to the jury, the entries were made anonymous. The participants were given the opportunity to describe the techniques and materials used. The winners will be announced and the prizes will be awarded this autumn at Museum Meermanno. There are three cash prizes to be won in the competition, € 1000, € 750 and € 500, for the three best entries. The presentation of the awards will take place in the presence of the jury, the organizing committee, the board members of the organizing institutions, the author Geert Mak and the illustrator Max Kisman. The entries will be included in a catalogue which will be sent to all participants in the competition. The remaining copies will be sold in the museum shop and elsewhere. The book will be designed by Peter Verheul and published by De Buitenkant. The photography for the catalogue will be supplied by the Photographic Studio of the Royal Library, The Hague. It goes without saying that these special entries will be displayed in the museum. The exhibition can be seen from 3 October 2017 through 7 January 2018 in the Thrukow room and the Acquisitions room on the second floor. After the exhibition, many of the entries will become part of the museum’s permanent collection. They will form a separate sub-collection within the existing extensive collection of miniature books.